Sligo Rovers and Waterford United face at The Showgrounds, in a match for the 7th round of the Premier Division. The head‑to‑head record at this stadium favours the away team, since in the last 3 head‑to‑heads they won 2 and lost 1. Accordingly, in the last head‑to‑head played at this stadium, for the Premier Division, on 30‑06‑2018, Waterford United won by (2‑3). A. Wixted (28' ) and S. Sharkey (30' ) scored for Sligo Rovers and S. Aborah (4' ), J. Martin (19' ) and B. Héry (33' ) for Waterford United. Sligo Rovers registers significant differences between home and away results, so the home/away factor is worth special attention. After 2 wins, 1 draw and 3 losses, the home team is in the 8th position, havinf won 7 points so far. In the last match, they have lost in an away match against Shamrock Rovers by (3‑0), after in the previous match they have won (1‑0) at home, against UCD. This is a team that, oddly enough, has had better results in away matches than at home, since in the last 30 matches they register 8 wins, 1 draw and 6 losses in away matches; against 5 wins, 2 draws and 8 losses at their stadium. 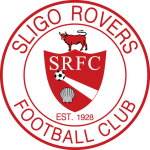 In the last 10 home matches Sligo Rovers has won 5, tied 1 and lost 4. They haven't been very strong defensively, since they have suffered goals in 5 of the last 6 matches for this competition. Confirmed Lineup: M. Beeney, L. Banks, K. Callan-McFadden, J. Dunleavy, D. Leverock, J. Mahon, D. Cawley, K. Twardek, J. Keaney, D. Fordyce, R. Coughlin. The away team is currently in the 7th position of the league, with 7 points won, after 2 wins, 1 draw and 3 losses. In the penultimate match, they lost in an away match against Dundalk, by (4‑0). In the last match, they won in a home match against St. Patrick's Ath., by (2‑0). This is a team that usually maintains its competitive level in home and away matches, since in the last 30 matches they register 7 wins, 1 draw and 7 losses in away matches, with 24 goals scored and 24 conceded; against 8 wins, 2 draws and 5 losses at their stadium, with 28 goals scored and 12 conceded. 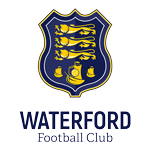 In the last 10 away matches Waterford United has won 5 and lost 5. Confirmed Lineup: M. Connor, K. Lynch, A. Simpson, D. Delaney, J. Lunney, B. Héry, R. Feely, Z. Elbouzedi, S. Duggan, S. Twine, I. Akinade. Market Match Odds Over/Under 2.5 goals Half Time Over/Under 1.5 Goals Over/Under 3.5 Goals Both teams to Score?